Around 2:00 PM on June 11, 2014, 30-year-old Nichole Reed attempted a daring heist. She entered a nearby Publix grocery store, went back to the seafood section, and proceeded to shove 7 lobster tails (valued at $11.99 a piece) down the front of her pants. I refer to her theft as "daring" because she did it in full view of Publix employees and Publix security cameras...which gives us the chance to watch the crime (and marvel at an over-sized pair of jean shorts) in the embedded video below. Reed walked out of the store without paying, prompting the Publix loss prevention officer to bravely charge towards a telephone and call the police. 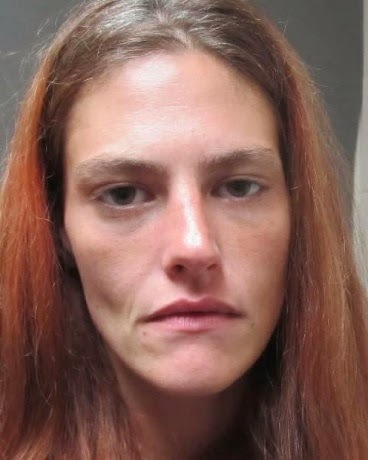 ALLEGEDLY, his description of her somehow led officers to Nichole Reed's home, where the loss prevention officer positively identified Nichole as the lobster looter. My guess, however, is that she already had a bit of a reputations in the area from her six prior arrests. At least Nichole was honest, though. She immediately confessed to the crime, explaining to the police that she'd intended to trade the lobster tails for dilauded (prescription painkillers) or food from a Chinese buffet. It's at this point that the story really throws me for a loop. I can almost understand someone trading delicious seafood for drugs. 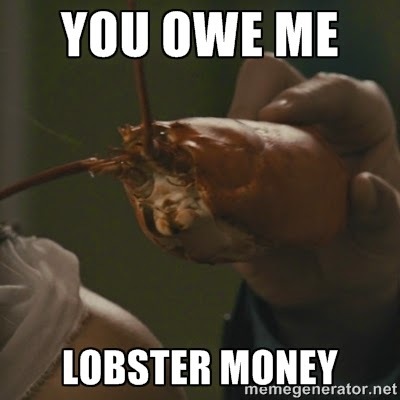 But just how shady is a Chinese restaurant that will exchange all the General Tso's chicken you can eat for stolen lobster tails? I mean, seriously...how does that deal even get set up in first place? And by the way, Nichole...YOU'VE GOT (or had) FREAKING LOBSTER TAILS! Boil some water and skip the MSG-pedaling middleman. The whole incident had gone from desperate to downright weird, so I began looking for more information about Nichole. 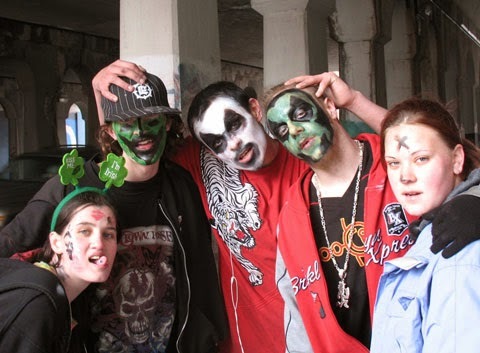 I eventually found her Facebook page, where Nichole lists her occupation as 'eating them' at The Dark Carnival....which is the annual gathering of Juggalos...which actually causes all of this to make a lot more sense. Pictured: People who would probably trade lobster tails for magnets. Nichole Reed was arrested and charged with theft from a merchant. As of Thursday, she was still a resident of the Volusia County Branch Jail. That's the face of a woman who definitely does not believe in miracles. To get updates on when new articles or podcasts are published (and occasional random musings) 'Like' the official RamblingBeachCat.com Facebook page. Every time someone does, a woman looking to score pain pills with a side of pot stickers decides to go out for seafood, instead.